Railpictures.ca - Michael Berry Photo: My daughter has fun running around CN 6200, which is currently in the middle of being cosmetically refurbished. | Railpictures.ca – Canadian Railway Photography – photographie ferroviaire Canadienne. 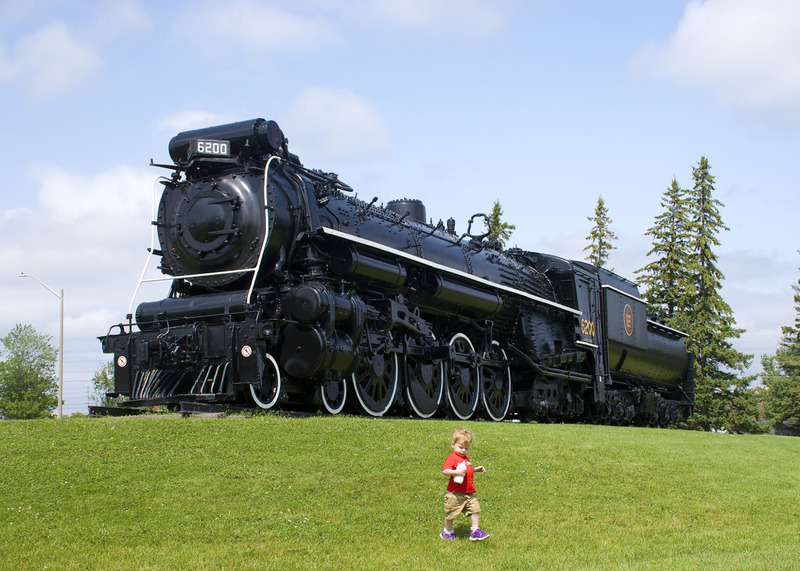 Caption: My daughter has fun running around CN 6200, which is currently in the middle of being cosmetically refurbished. Beautiful angle,the head Light bas been removed for a long tome now.